KitchenAid Mini Food Processor Just $29! Down From $50! PLUS FREE Shipping! You are here: Home / Great Deals / Amazon Deals / KitchenAid Mini Food Processor Just $29! Down From $50! PLUS FREE Shipping! Head over to Amazon to score the KitchenAid 3.5 Cup Mini Food Processor for just $29 down from $49.99 PLUS FREE shipping! 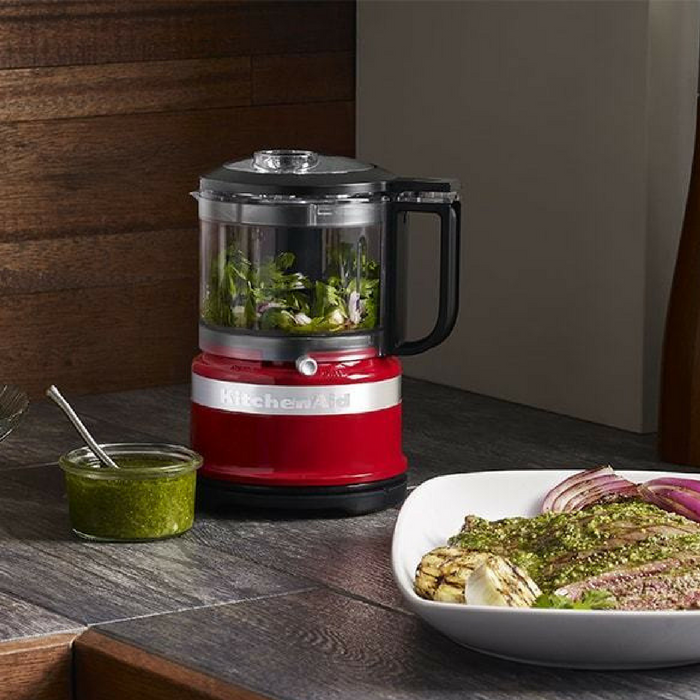 Endless fresh options to quickly chop, mix and puree. This compact and lightweight 3.5 cup mini food Processor is ideal for every day use – whether you want to aat healthier, be more creative, or just save time on meal prep. Simple cord wrap and compact design for easy storage.